Finally, a .22 LR tactical training rifle that looks, feels and handles like its full-size counterpart. 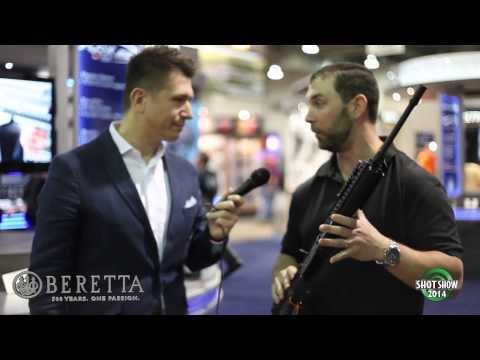 The ARX160 is a rimfire version of the ARX100, Beretta’s celebrated .223 Rem tactical rifle. But aside from the caliber, this .22 LR rifle is virtually identical to the centerfire version as far as operations, controls, accessorization and customization options. A training rifle that will never let you down, the ARX160 is an extra-durable piece of gear that will satisfy even the most demanding tactical shooter. A serious training rifle should always mirror the “real thing” in the way its controls work. 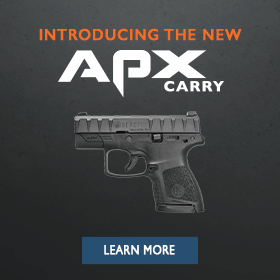 This is why the ARX160 features ambidextrous two-position safety, magazine release and cocking handle. With this rifle, you can easily train and shoot with either hand dominant and improve your skills without breaking the bank. This training rifle is a great base for building the tactical system of your dreams. It comes out of the box with four Picatinny rails: on top, a full rail enables you to easily attach your favorite sighting or optics system, while on either side and on the bottom of the fore-end additional rails let you add other accessories such as tactical lighting. Other customization options include the telescopic folding stock: you can adjust the length of pull at the touch of a button, while the stock can be folded partially or all the way to accommodate most firing situations. The ARX160 is built to be durable and super-tough, being constructed of superior steel and technopolymer. Its flip-up sights are just like those on the full-caliber rifle—super-light but rugged, and featuring a rear diopter for quick and accurate target acquisition. Maintenance is easy thanks to the simple way in which it comes apart and is reassembled without any tools. Whether you use it on its own as a rimfire tactical rifle, or as a training tool to improve your handling of the full-power counterpart, the ARX160 will always turn heads at the range and will never let you down. For the full-power, centerfire version of this tactical rifle, check out the ARX 100. Depending on your dominant hand or tactical situation, you may use the cocking handle on either side of the ARX160. Like most controls on the ARX160, the mag release is ambidextrous, making it easy to train and shoot with either hand dominant. 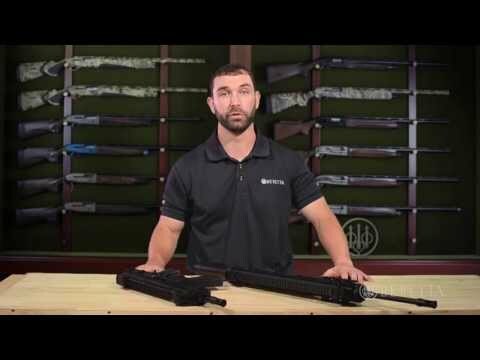 Easily use the safety with either hand dominant.The AR-15 style safety will be instantly familiar to those accustomed to the standard issue US military rifle. Unlike the afterthought you get on most rifles, the sights on the ARX160 are perfectly engineered for quick target acquisition and are adjustable for a variety of distances. The stock may be fully folded, and it is adjustable for length of pull at the touch of a button. The ARX160 comes out of the box with a variety of Picatinny rails, enabling you to attach your favorite tactical accessories. Tactical sling swivels on this rifle enable shooting and carrying in a variety of positions.